Part 1: The Teacher's Guide, provides a background on maker culture and explains how the movement relates to ADST; a much needed cultural shift in making vs consuming and how this has created a need for skilled trades workers in Canada. 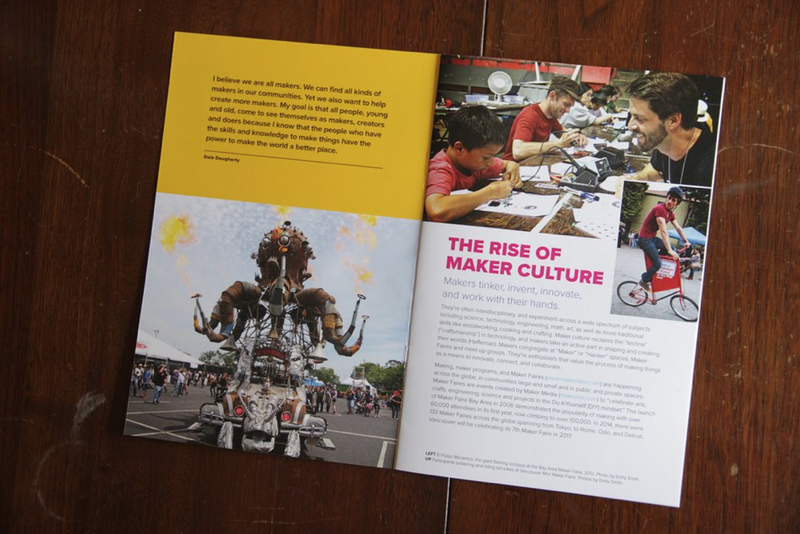 The manual also provides resources to link teachers to Maker Clubs across North America and tips on how to cultivate the maker spirit in your school. Part 2: The Playbook consists of 6 projects and introduces students to "maker heroes" who have followed their childhood passions for making and now use their technical skills to make engaging, fun and inspirational projects. Part 3: The ADST & Maker Club Booklet gives ideas and examples of how teachers can tie Maker Club projects to other subject areas. The ITA Maker Club Manual is a 3 part resource that introduces students and teachers to maker culture while providing ideas, inspiration, and technical skills related to the trades. Our goal is to support teachers in implementing the new ADST curriculum in a way that is fun and creative. By utilizing recycled materials and exploring 'who makes what' in your community, you can find cheap or free materials to make anything you can imagine. This playbook was written by Emily Smith and Zee Kesler in partnership with the Industry Training Authority and the Magic Trout Imaginarium. 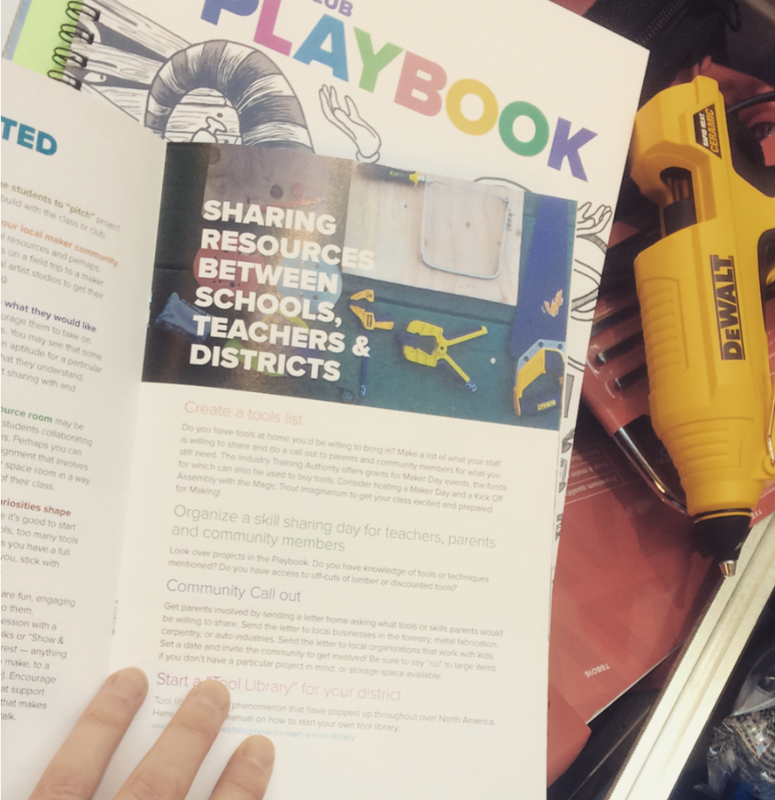 This booklet accompanied Professional Development days and funding for districts to get hands-on.